Woo hoo, two days, and two blog posts. I'm on a roll. 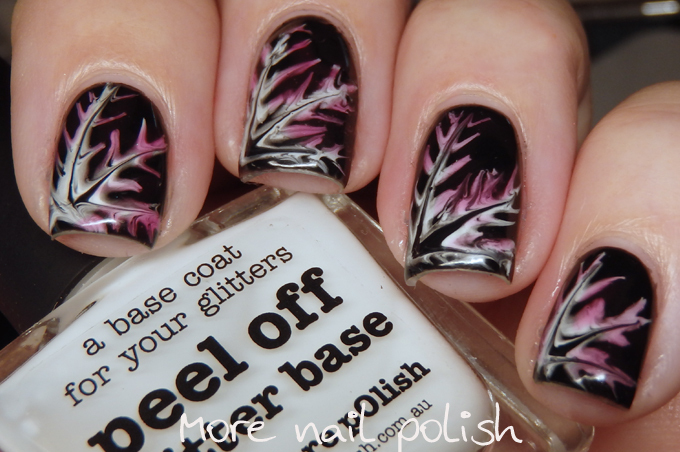 Today's prompt for the 26 Great Nail Art Ideas challenge is Black Base. 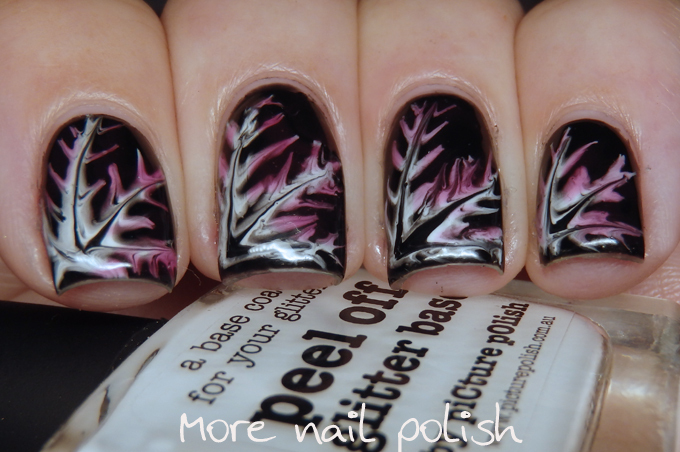 I'm not a huge fan of black bases, except perhaps in the depths of winter, but when you join in nail art challenges coordinated by lovely girls in the Northern Hemisphere, you usually end up with mis matched seasonal prompts. For the prompt I did a drag marble. It's ok, but not exactly up to the standard that I was hoping. I created this look using gel polishes, because you can take all the time in the world doing the drags knowing that the polish won't try until you cure it. I also used a peel off base under the gel polish so I could easily remove it, but I found that one of my nails must have got some acetone into the base when I was doing clean up, and it did some wrinkly business. I just made sure it had a thick layer of top,coat and it was all good. 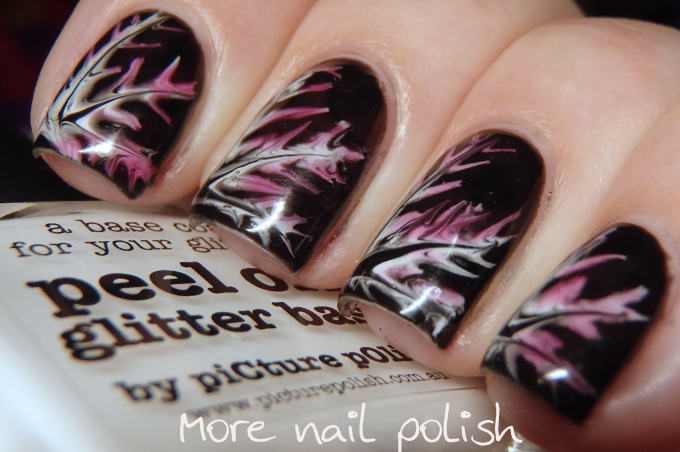 I like the fractal appearance this has, but not the gel thickness, or the blackness. I think these are amazing!! What a fabulous pattern for drag marble! !